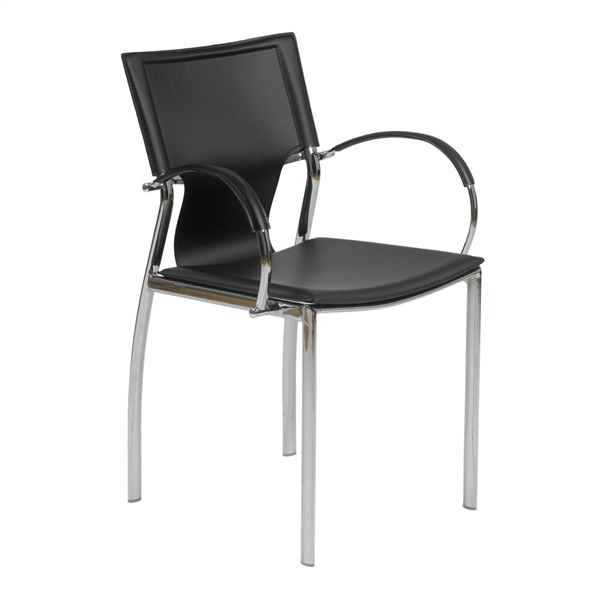 One chair – many facets…the Vinnie Arm Chair offers timeless style with several standout design elements. Contemporary cool comes in the combination of a chunky t-shaped backrest, rounded, leather-accented arms, and gently arced back legs. Choose from multiple leather colors, and make it all yours! If you have an appreciation for the exceptional, than this modern leather arm chair is for you.